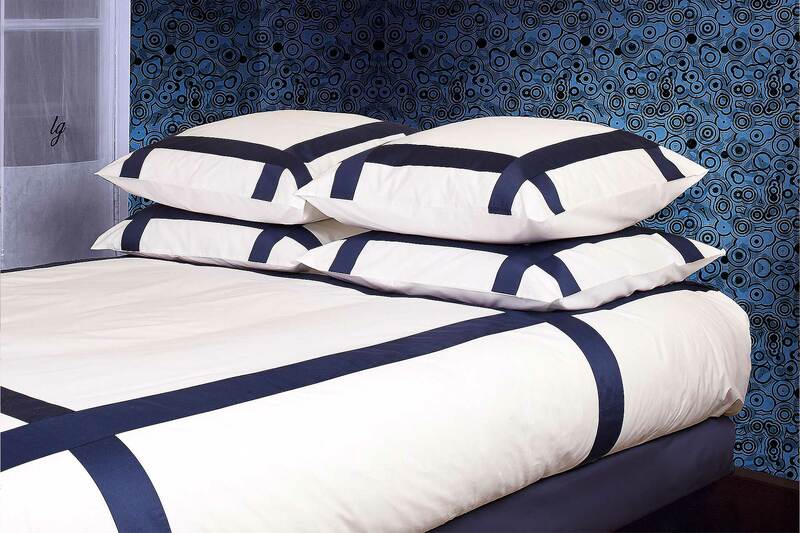 The duvets cover in pure cotton percale, 406 thread count, is produced with two series of satin bands applied vertically and horizontally creating a geometrical effect that is very pure. Shams are made in the same way, with the four satin bands applied on our 406-count percale resulting as an extremely modern product. On the other hand, the flat sheets are finished with a single satin band at the edge of the sheet.